No benefits left, claims not being paid, Self Payment Gap, Threshhold ......?? Far too often members of medical schemes are confused about their medical aid and tend to lose out because they do not understand their options. We help you maximise your benefits and select the right plan for your needs. We pride ourselves on our commitment to service for our clients and ensure they are always abreast of developments. Give us a call to attend to your needs. Medical aid societies are ‘not for profit’ organisations. Medical schemes are required to retain 25% of the gross income as a reserve against future claims. The industry is governed by a Government appointed Regulator to ensure that trading practices are in the best interests of the members. Schemes are governed by Trustees and not by Board members or shareholders. members appoint the Trustees to oversee the administration and management of the scheme within all legal and financial requirements as well as ensuring that the benefits offered and the contributions payable, are in the best interests of members. Chronic benefits and health cover for chronic illnesses is a very important aspect to consider when selecting a medical aid plan. Doing your homework properly beforehand will save you a lot of money and go a long way to securing your good health. By law, Medical Schemes have to pay medication for 25 conditions (Prescribed Minimum Benefits). Medical Schemes can still control the type of medicine and only pay medicines that fall within their lists (formulary). Medicines for other conditions may be covered by the scheme or paid from your savings. This is by far the most important question of all. Choosing a medical scheme for the first time can be overwhelming. The best advice, look at your specific needs and talk to an objective independent healthcare consultant (broker) to assist you in choosing the right scheme and product option. Once covered by a medical scheme, make sure to evaluate your situation regularly, to adapt to your needs. · What you can afford. Choosing between different options within a specific medical scheme will depend on your needs. Most schemes offer a full comprehensive options (hospital costs and out-of-hospital benefits) or just a basic hospital plan (cover only in hospital procedures). 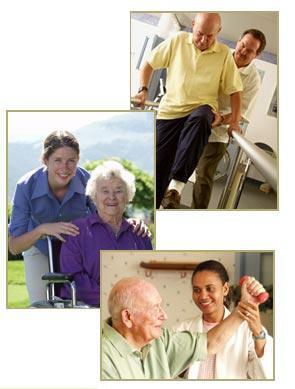 Some schemes limits you to a particular hospital group or manage care facilities, depending on the option you choose. The more limited the option you choose, the less your monthly contributions will be, make sure you investigate all. What should a medical scheme pay for? In 2004 the Medical Schemes Act of 131 of 1998 introduced Prescribed Minimum Benefits (PMB). It is a set of defined benefits to ensure that all medical scheme members have access to certain minimum health services, regardless of the benefit option they have selected. The aim is to provide people with continuous care to improve their health and to make healthcare more affordable. PMBs determine that medical schemes have to cover the costs related to the certain diagnosis, treatment and care of medical conditions. (Under which a set of 271 medical conditions and the basic 26 chronic disease list is included). What are my rights according to the law? The Medical Schemes Act (No 131 of 1998) came into effect on 1 January 2001. Offers, a compulsory minimum package of benefits and exclusion of risk rating, and the discrimination on the basis of health, age, race, gender of medical history. WHERE TO FIND ASSISTANCE IN CHOOSING A MEDICAL AID? Deighleigh is a leading corporate health consultancy that specialises in providing objective, independent healthcare consultation services. The company can assist you in making informed, innovative decisions with regard to healthcare choices. has shown a disregard for healthcare coverage in the case of different individuals. Most economist see financial security for individuals as ones home insurance, retirement savings and healthcare coverage. The latter of the three is the most unpopular, as many individuals would rather insure their homes and provide for their retirement, than wanting to spend money on Medical Schemes. Currently South Africa has a dual health care system, consisting of public and private providers. Private Hospitals is mostly used by members, which belong to a medical scheme or pay for these services out of their pocket.